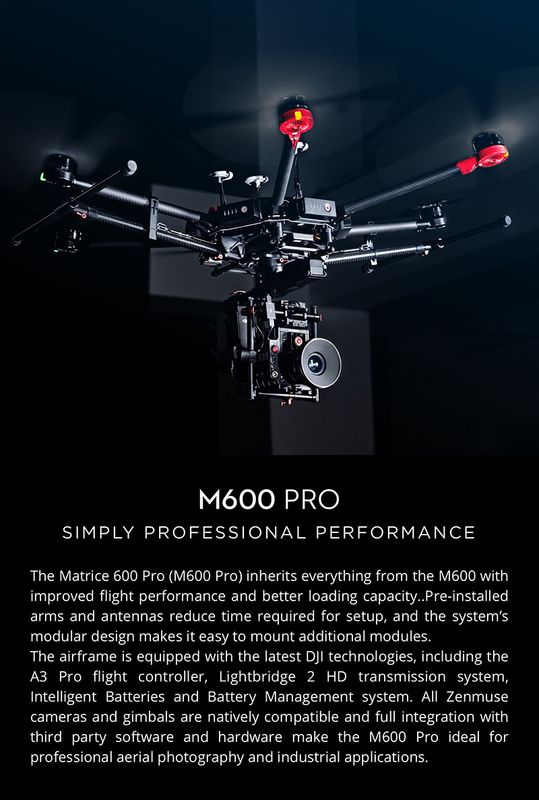 Supporting a total takeoff weight of 34 pounds, the Matrice 600 Pro (M600 Pro) is a hexacopter from DJI designed for professional video and industrial imaging applications. 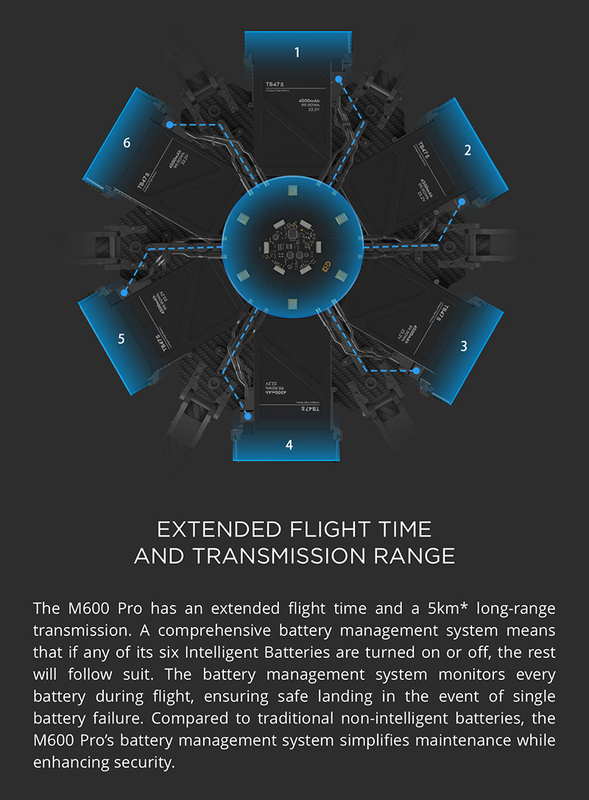 Updated from the original Matrice 600, it features improved flight performance and a higher loading capacity. 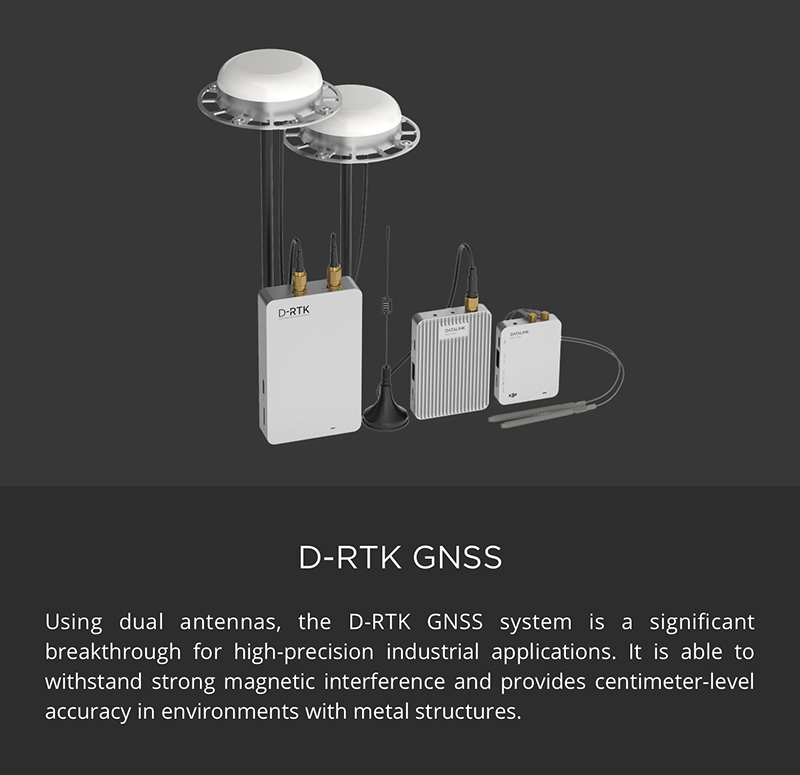 Pre-installed arms and antennas reduce time required for setup, and the system's modular design makes it easy to mount additional modules. 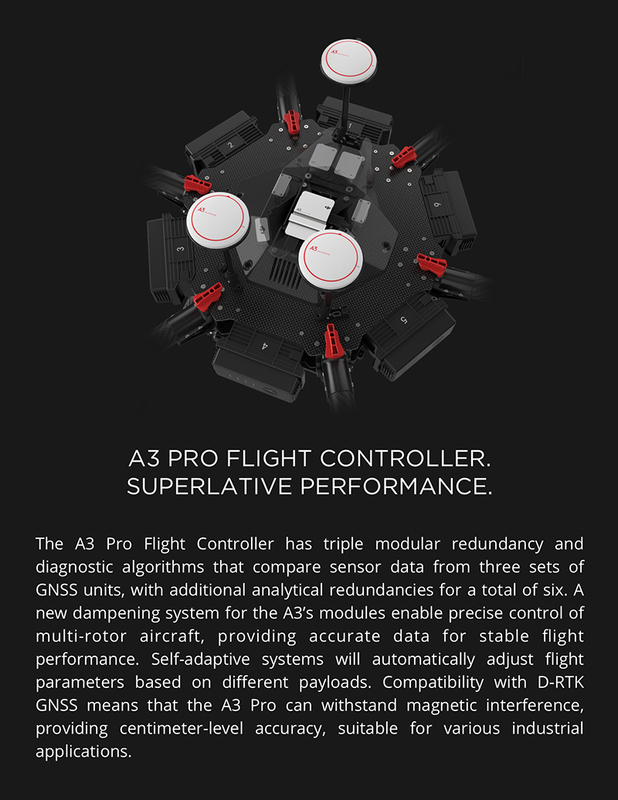 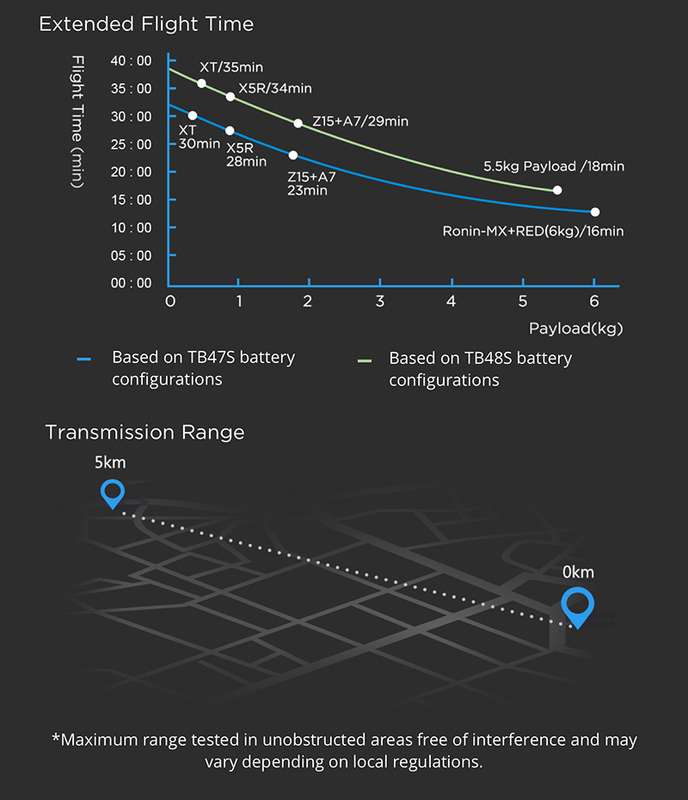 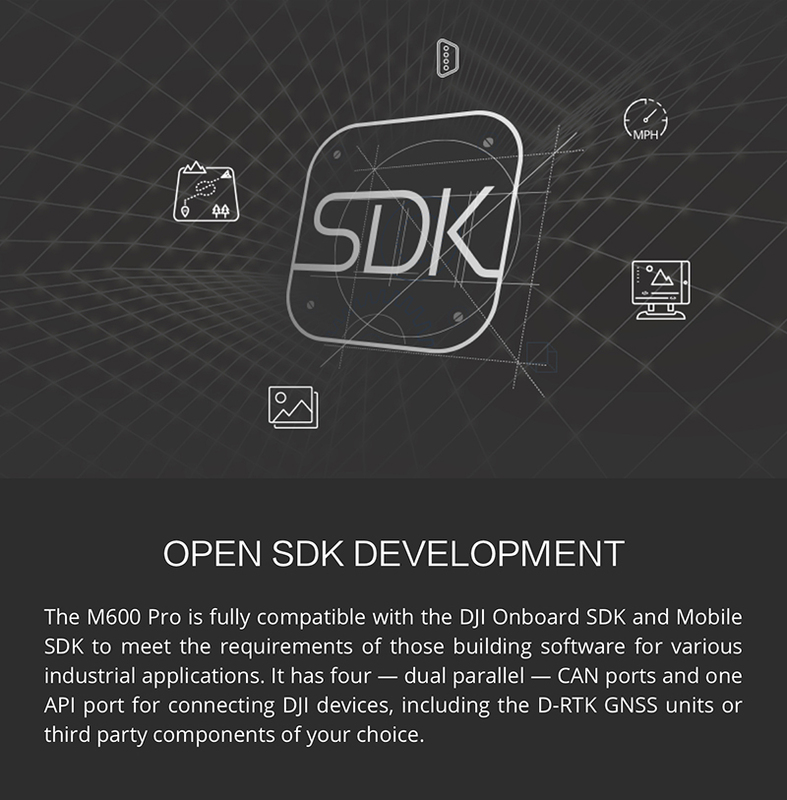 The Matrice 600 Pro centers around DJI's advanced A3 Pro flight control controller with triple redundancy. 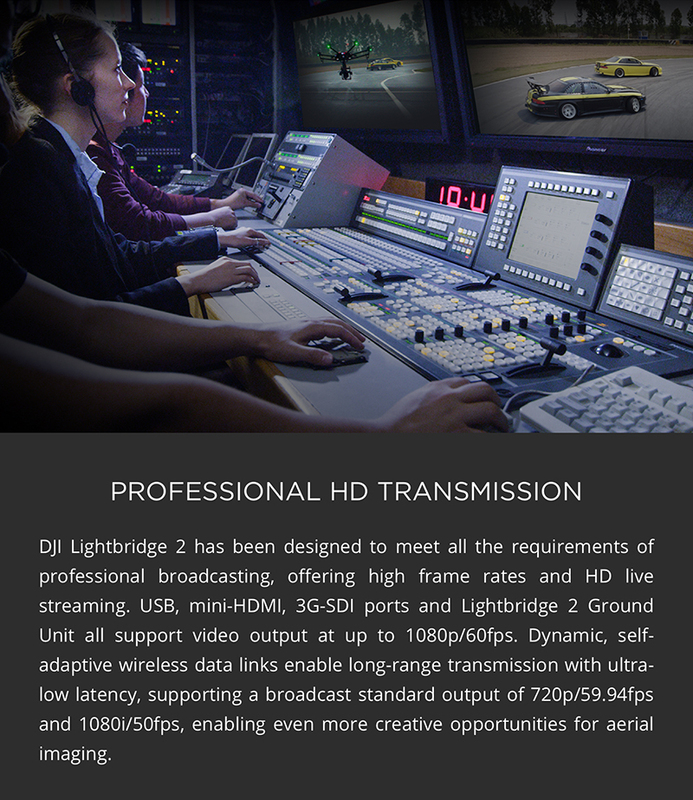 It incorporates the Lightbridge 2 system for HD resolution, low-latency monitoring via SDI, HDMI, and USB outputs on the controller. 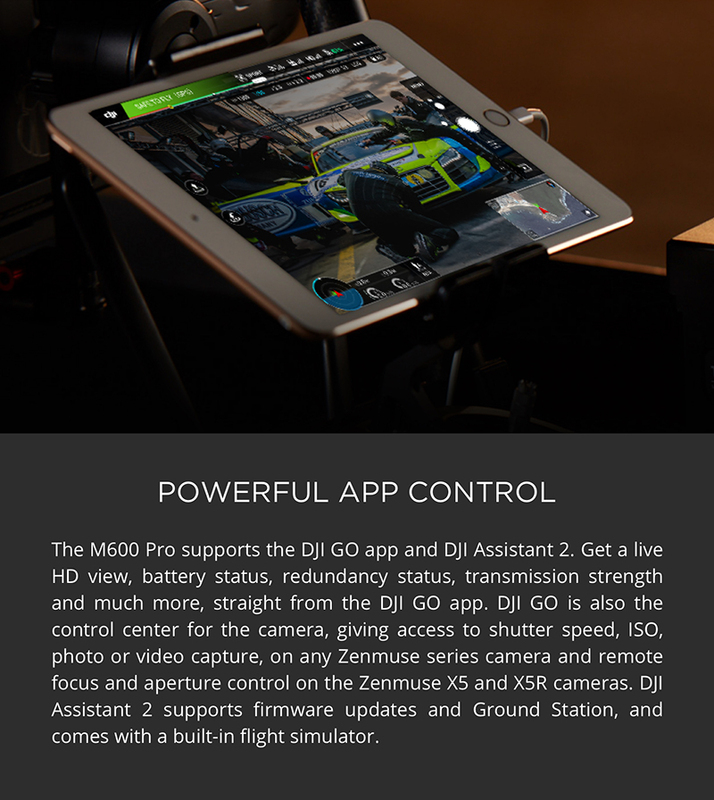 For camera support, the Matrice 600 works with Zenmuse Z15 series gimbals, the Ronin-MX gimbal, and Zenmuse X Series gimbal/camera hybrids. 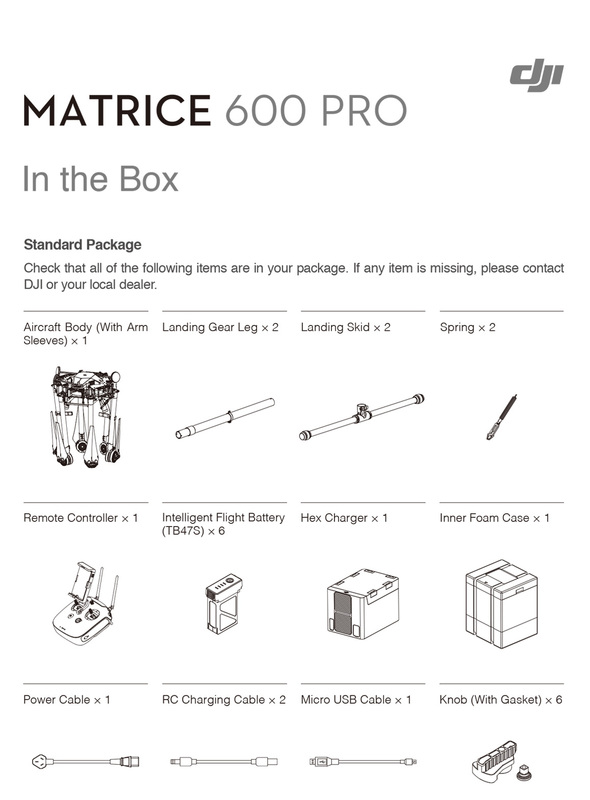 This version of Matrice 600 Pro comes almost-ready-to-fly (ATF) and includes a controller (transmitter), flight batteries, six-bay charger, flight controller, and sundries. 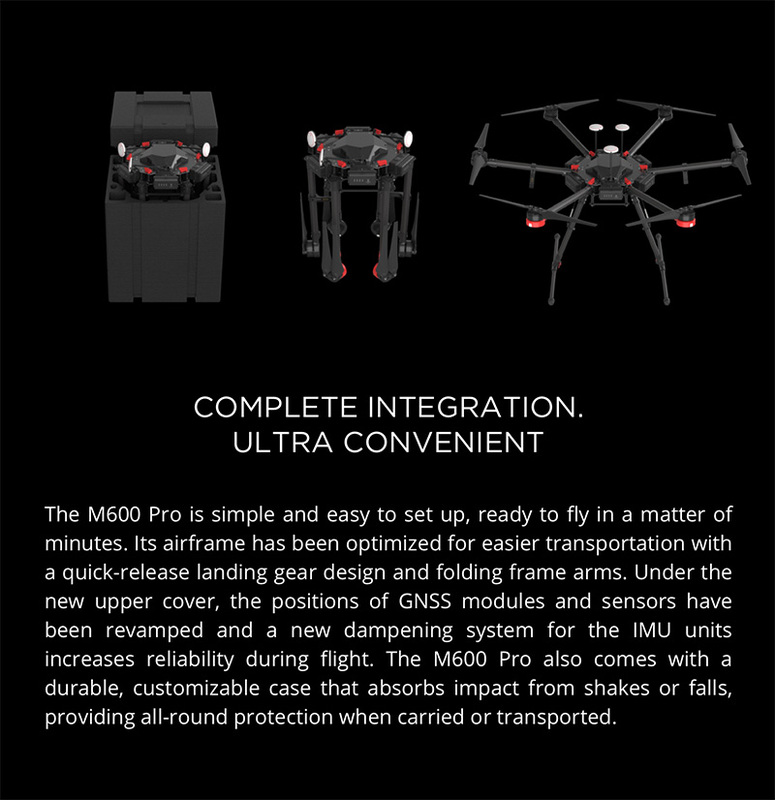 It also features a durable, customizable case that absorbs impact from shakes or falls, providing all-round protection for your hexacopter when carried or transported. 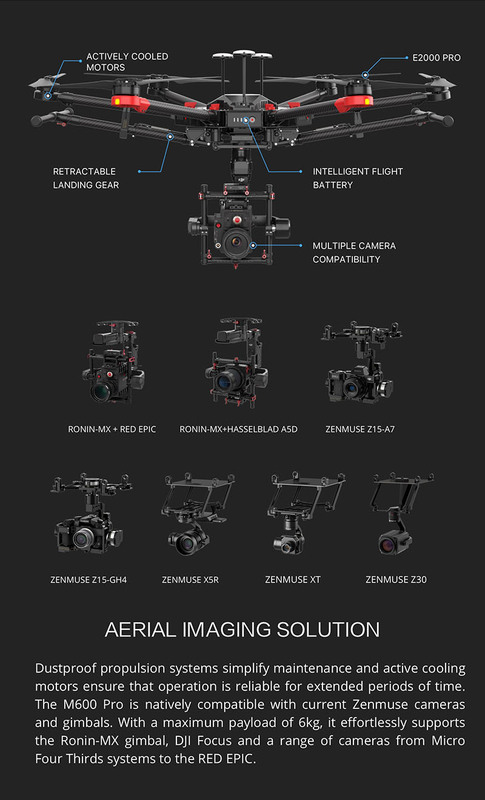 Additional hardware needed may include a gimbal, camera, as well as any flight controller add-ons. 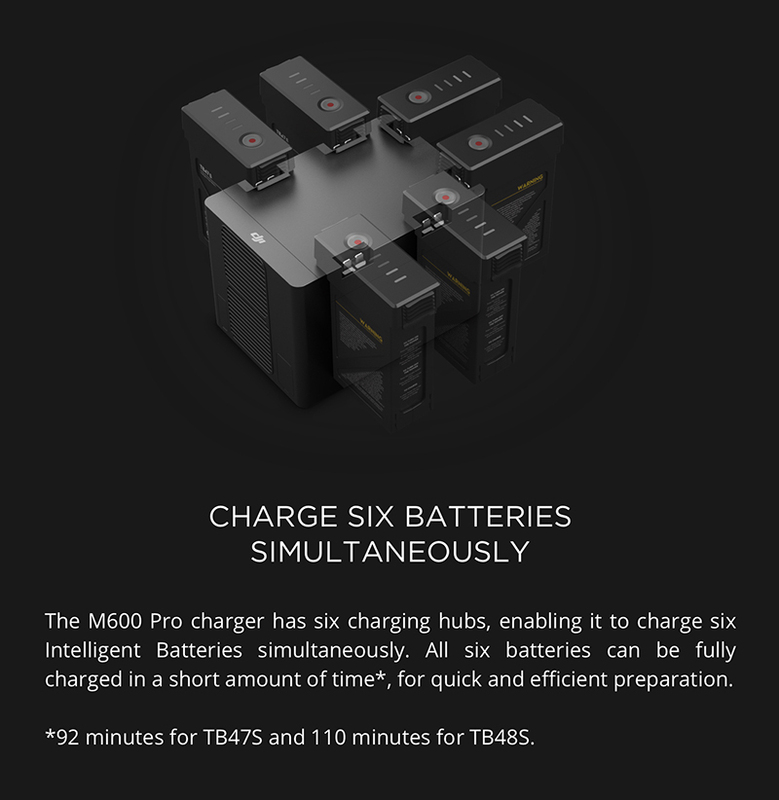 Some assembly is required.